The robust nature of Black Limestone makes it ideal for use as garden paving where it contrasts well against green planting and looks fantastic when wet. Like any stone it will fade over time, especially in external applications where the weather can wear down the surface..
One of the biggest problems with Black Limestone is it's acid sensitive nature and we have seen a number of occasions where acidic patio cleaning products have ruined the appearance of the stone leaving it looking washed out. Another common issue is the application of sealers designed for internal use which cannot cope with the weather conditions. Apply Tile Doctor Pro-Clean diluted 1:3 with water and leave to dwell for ten mintutes. Then scrub the Pro-Clean into the stone with a Black buffing pad fitted to a rotary floor machine. Remove the resulting slurry with a wet vacuum and rinse down the stone with water a few times to remove and remaining solution. Leave to dry off overnight. Use a coarse 200-Grit Diamond pad attached to a buffing machine lubricated with water where required to remove the sealer and clean up the stone. Remove the slurry with a wet vacuum and then continue with a 400-Grit No.1 Red burnishing pad to close the pores. Again apply with water and remove the slurry with a wet vacuum. If there is any flashing (old sealer) still in place then use Tile Doctor Remove and Go on these areas, scrub and rinse with water after a five to ten minute dwell time. Start with a coarse 100-Grit Diamond milling pad attached to a weighted buffing machine, 50 to 55kg of extra weight is perfect for this as it will enable the pad to dig deeper into the rougher texture of the stone and resurfce the damage caused by the acid. Again lubricate with water where required and remove the slurry with a wet vacuum. Next apply a 200-Grit Diamond pad attached to a buffing machine to further refine the surface of the stone. Lubricate with water where required and remove the slurry as before with a wet vacuum. Continue to refine the surface of the stone with a 400-Grit No.1 Red burnishing pad to close the pores. Again apply with water and remove the slurry with a wet vacuum. If there is any flashing (old sealer) still in place then use Tile Doctor Remove and Go on these areas, scrub and rinse with water after a five to ten minute dwell time. A sealer should only be applied when the stone is fully dry so you may need to wait until the weather improves before applying a sealer. If your unsure use a damp meter to measure the mositure level in the stone. 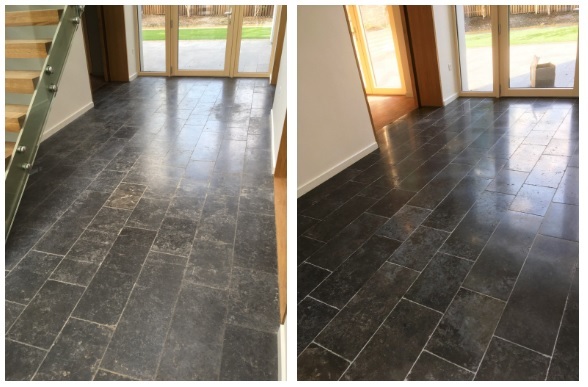 To seal apply one coat of Tile Doctor Colour Grow, its a penetrating colour enhancing that will protect the stone, intensify the black colour and is rated for external use. When sealing Black Limestone that has been acid damaged you will most likely find the oil in the stone has been leached out by the acid. The oil can be replaced by applying two coats of Tile Doctor Stone Oil. When ordering please remember the coverage of a 1 litre tin is 10m2 so for two coats on 10m2 you will need to purchase two litres. Make sure to polish off all and any excess of Oil before applying the 2nd coat and the same again when the 2nd coat is applied. 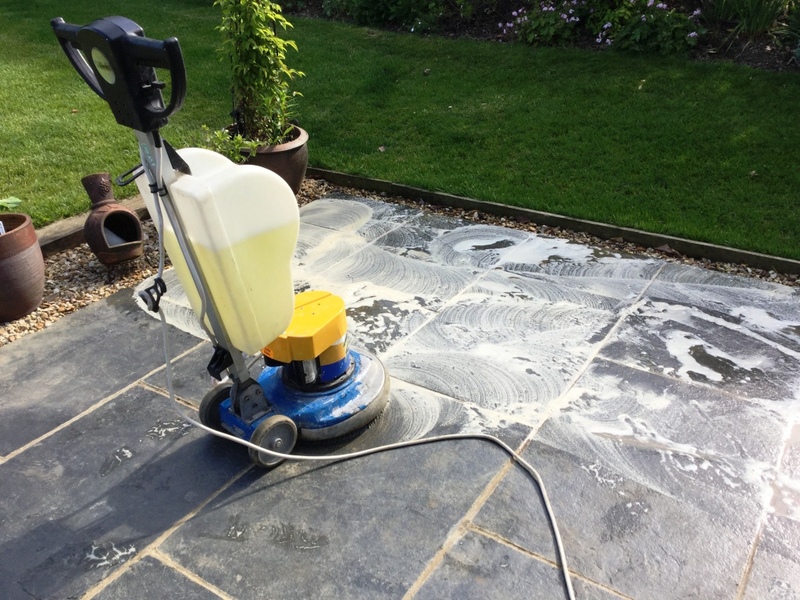 We recommend waiting 24 hours after applying Stone Oil before sealing however if you wish to apply a sealer earlier than that you can apply Tile Doctor Ultra-Seal which is a thinner product and can be applied to oiled stone after 2 hours. A 1 litre tin of Ultra-Seal will cover 20 to 30m2 depending on texture and porosity of the stone. For internal Wall & Floor Tile Maintenance including cleaning, polishing and sealing please treat in the same way as normal Limestone. Full details on the maintenance of Limestone can be found on our Limestone maintenance page. 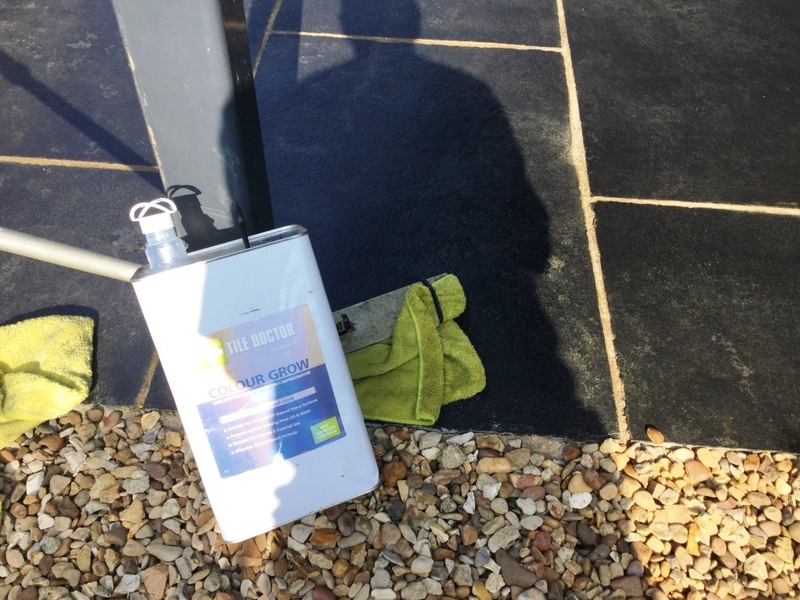 For the regular cleaning of Black Limestone use a sealer friendly cleaning product such as Tile Doctor Stone Soap which has been especially formulated for the regular cleaning of Sealed Stone and Tile surfaces keeping them fresh.